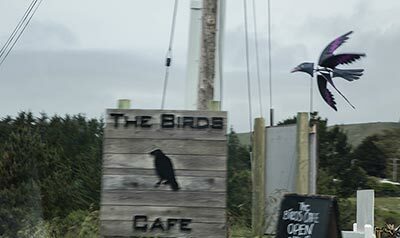 Alfred Hitchcock’s 1963 Horror Classic “The Birds,” put Bodega Bay on the map(get “The Birds” in iTunes). 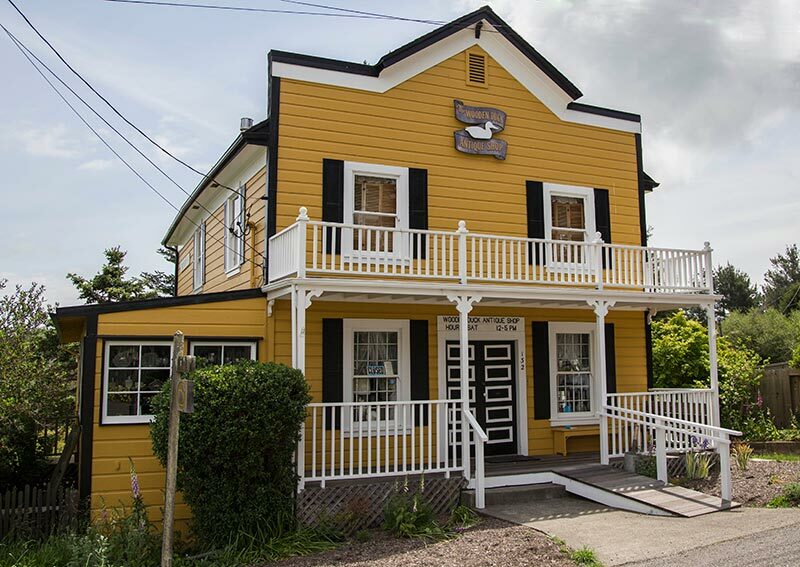 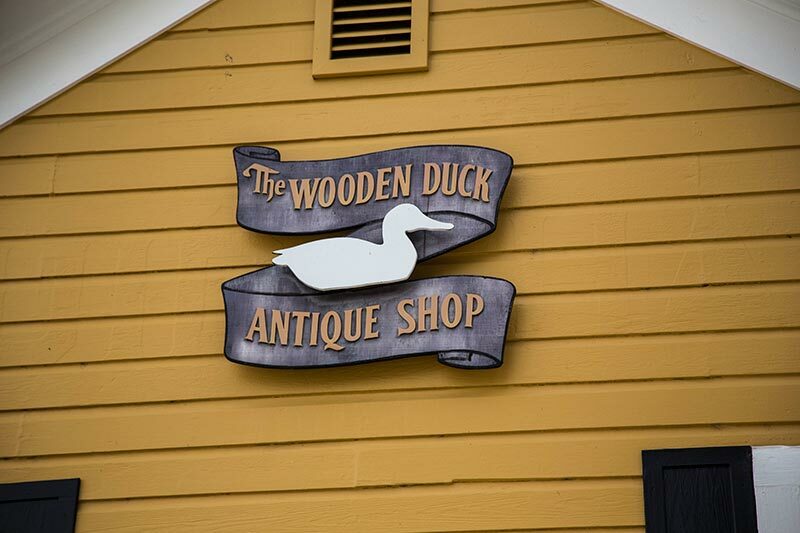 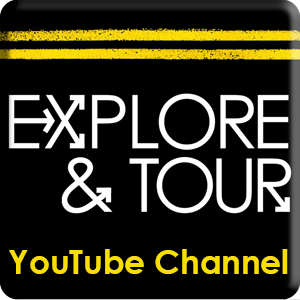 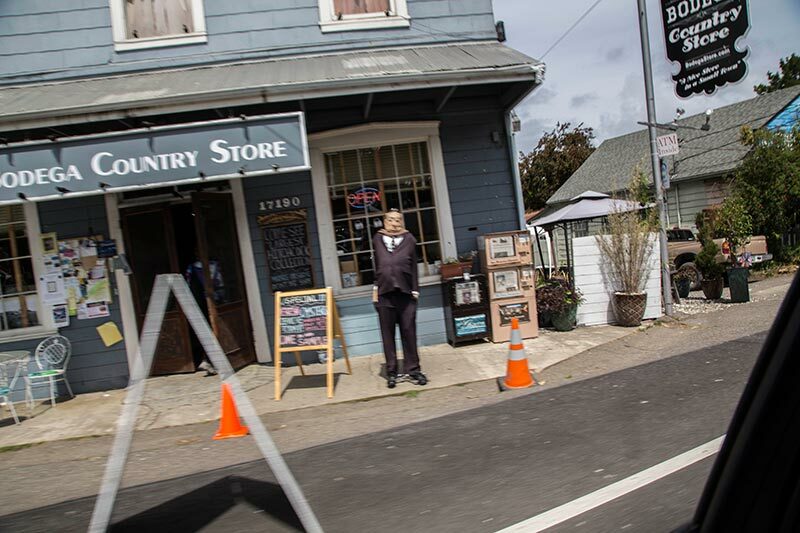 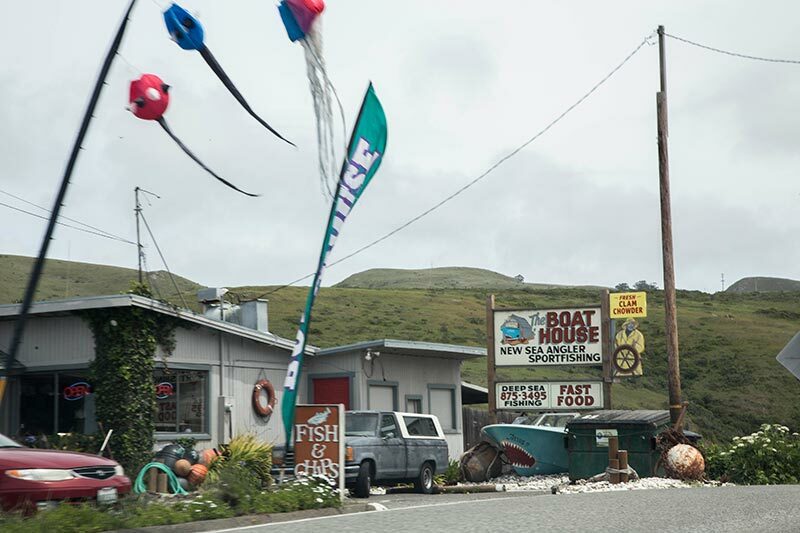 Today, this small town serves as a short pit stop for visitors traveling along coastal HWY 1. 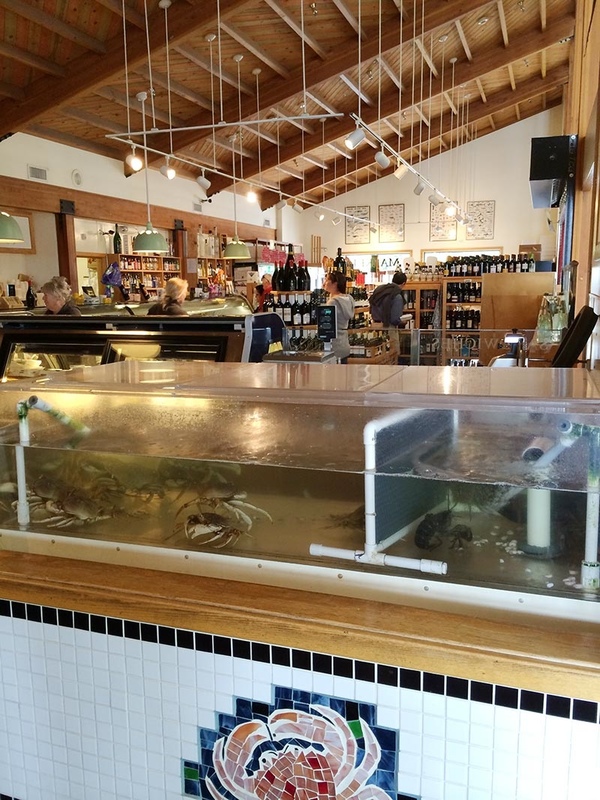 You’ll find a nice selection of seafood restaurants and the popular tourist stop “The Tides”(see below). 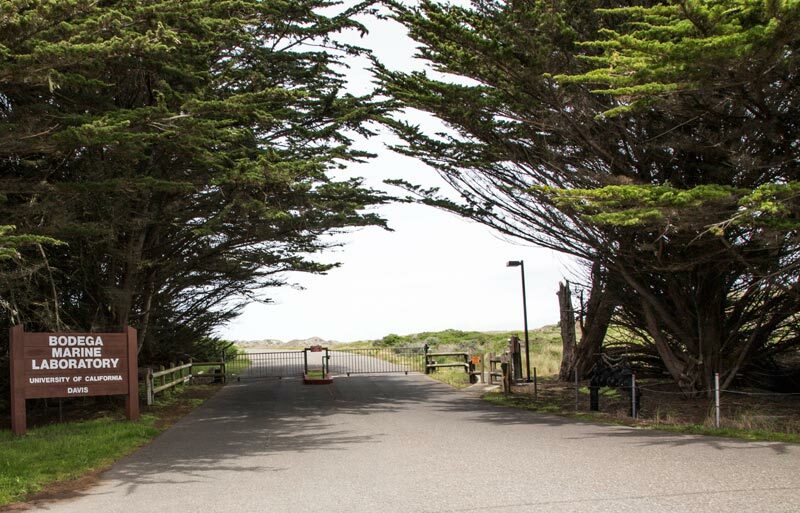 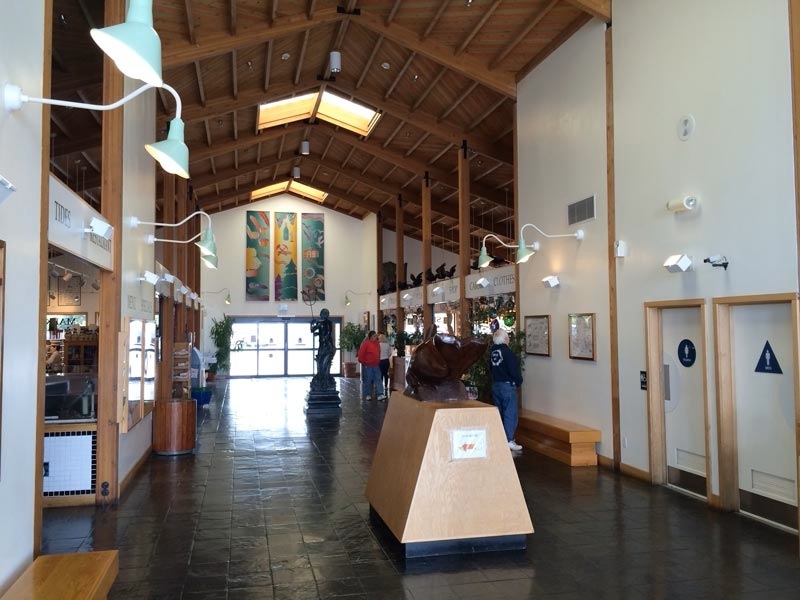 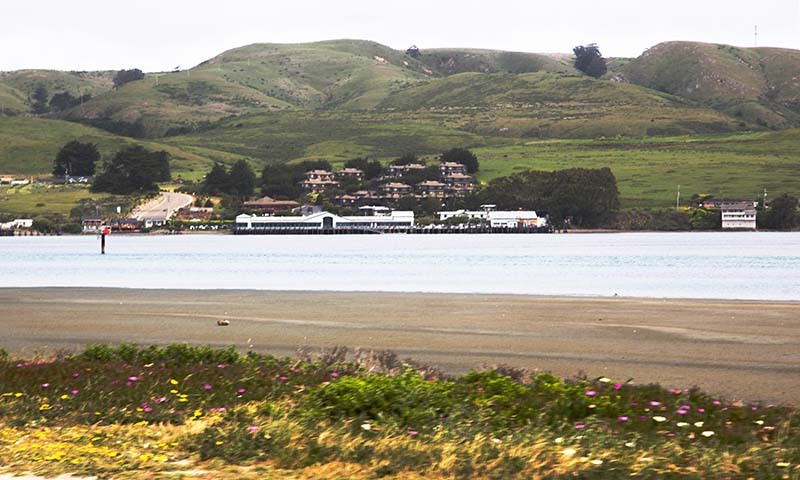 Small motels and bed & breakfasts have also made Bodega Bay a popular weekend getaway. 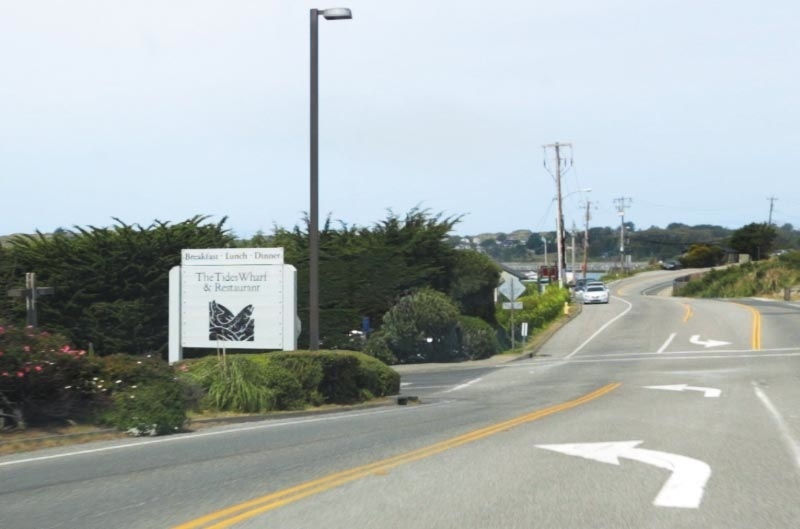 Alfred Hitcock’s 1963 horror masterpiece “The Birds” was filmed along Bodega Bay and in the nearby small town of Bodega. 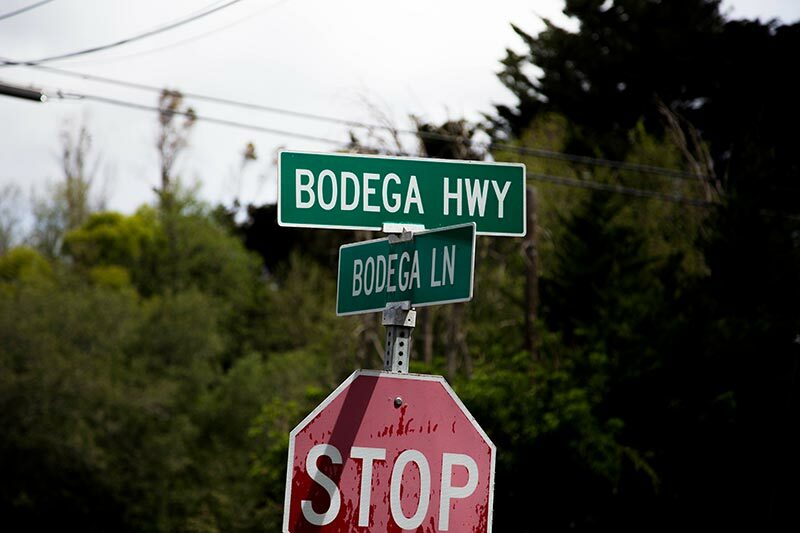 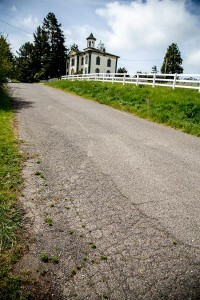 In the town of Bodega, you’ll find the Potter Schoolhouse(location info below) where children ran downhill to escape the birds. 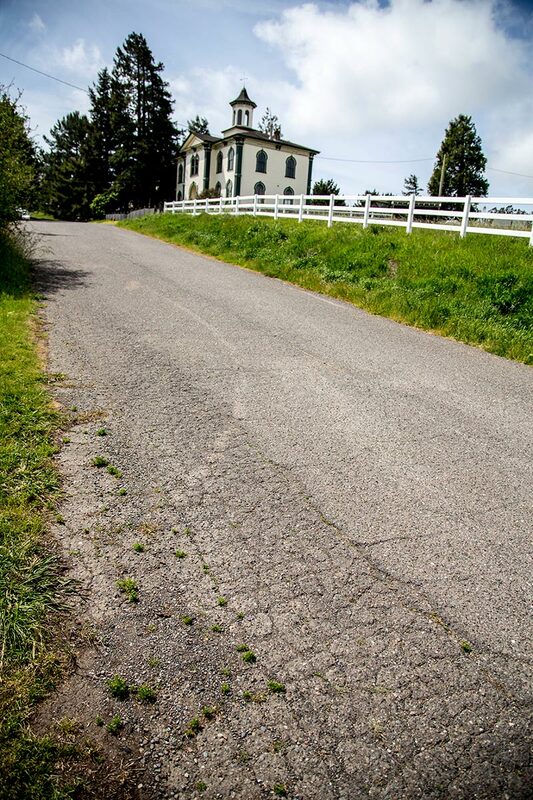 However, visitors won’t find the adjacent teacher’s house that was a temporary set demolished after film. 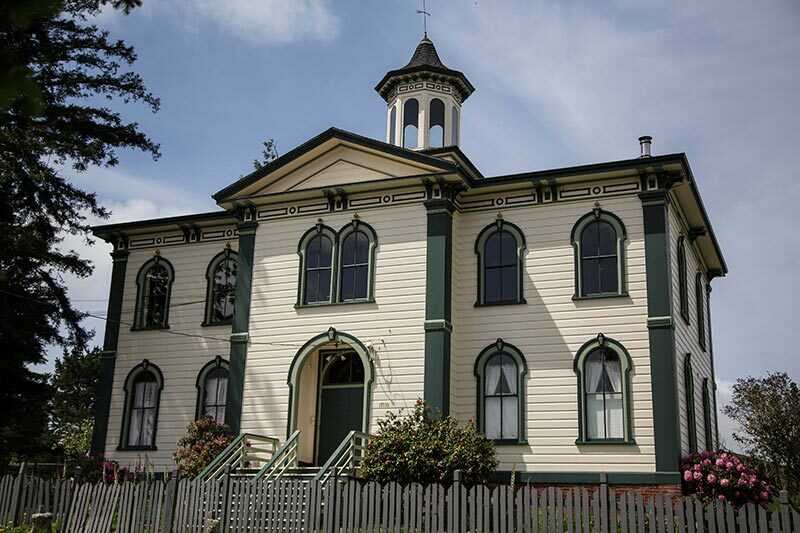 Hollywood special effects and editing was used to make the schoolhouse appear that it was located directly above Bodega Bay. 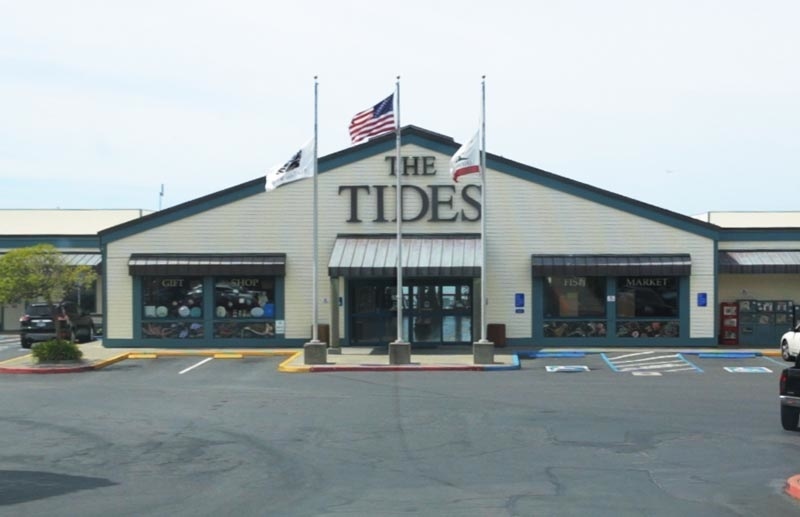 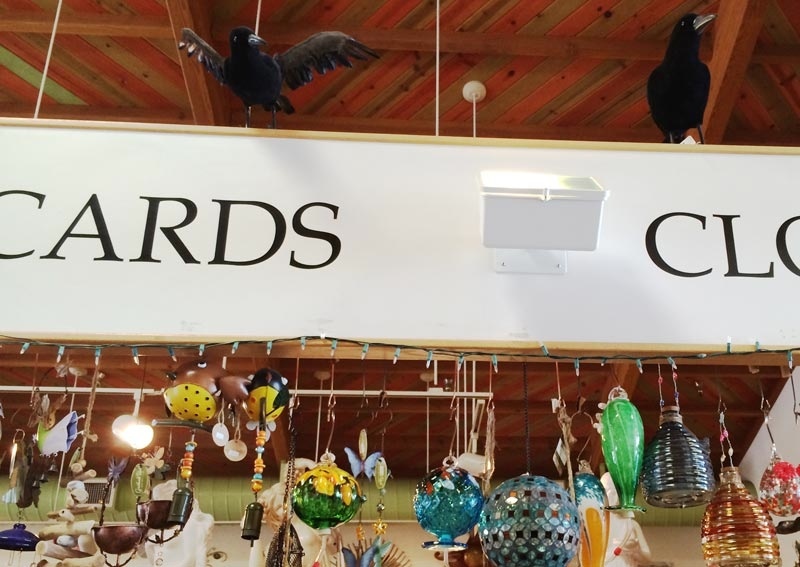 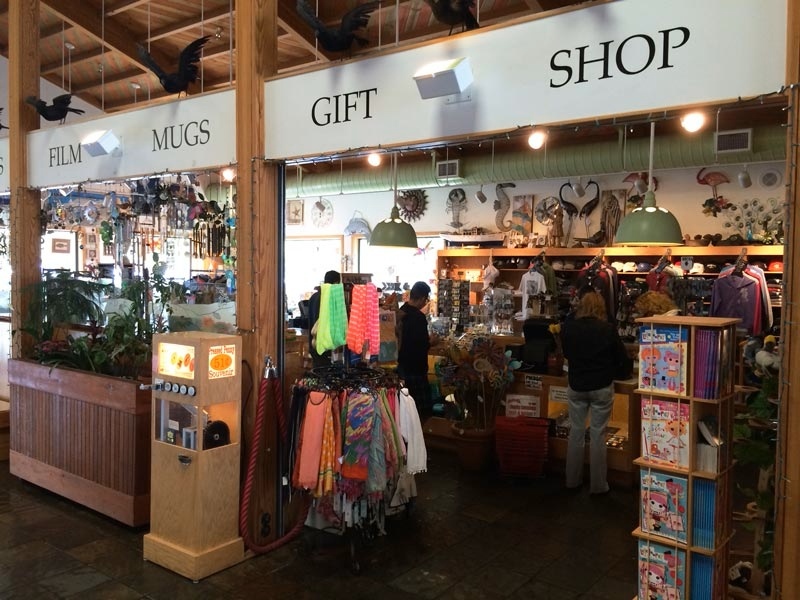 The Tides – This small complex features public restrooms, a restaurant, snack bar(with seafood meals), a small grocery store, and a gift shop filled with fun souvenirs. 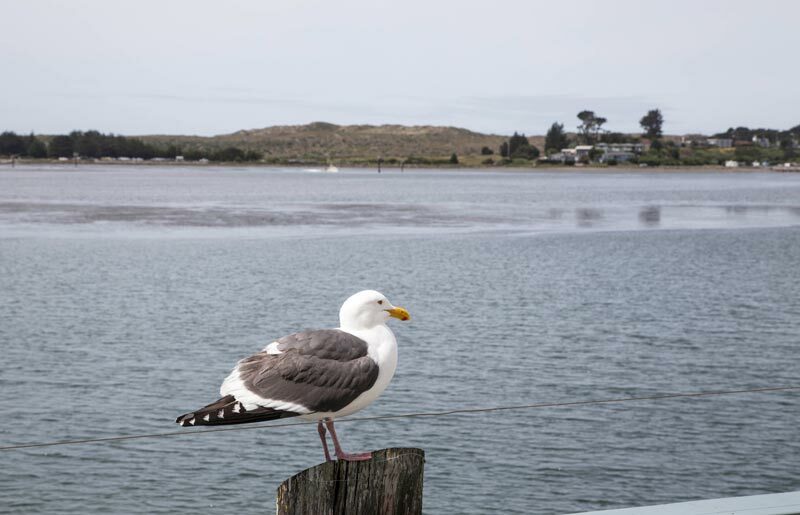 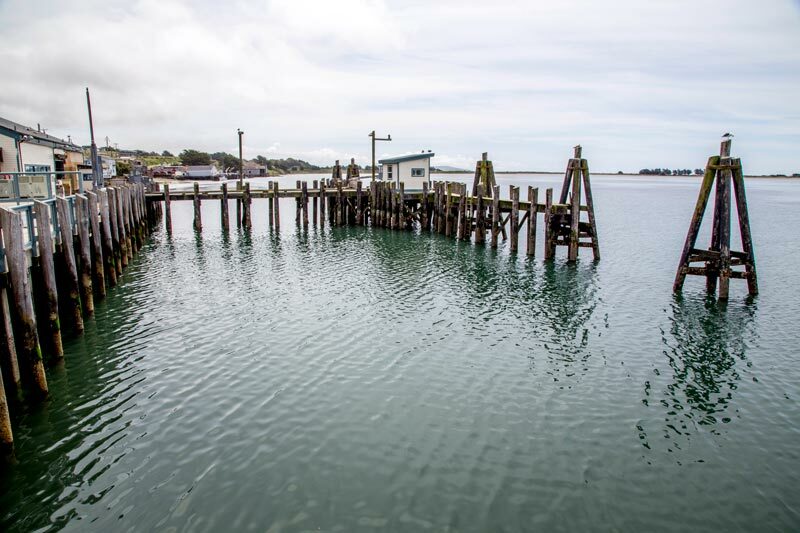 Out back is a small wharf that overlooks Bodega Bay and provides outdoor seating for food from the snack bar. 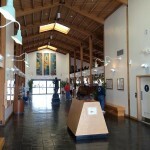 For those on a tight schedule, this roadside complex is an ideal pit stop at 835 Bay HWY (HWY1). 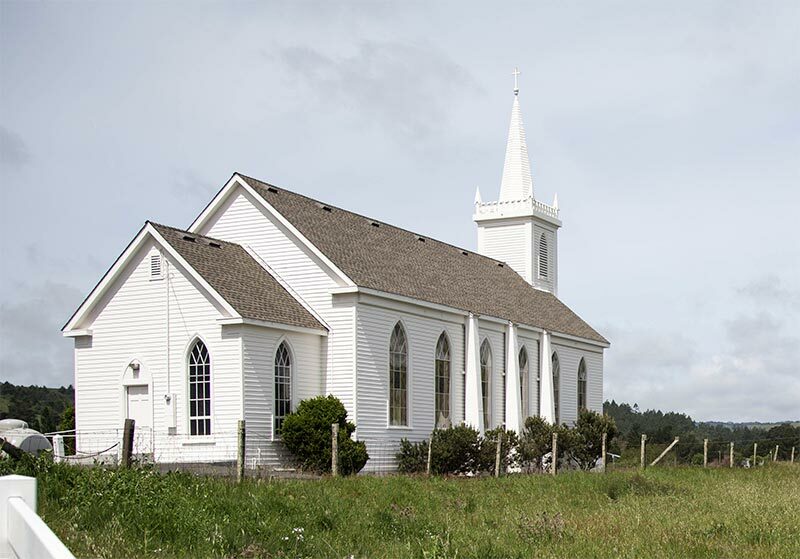 Potter Schoolhouse – The potter schoolhouse is located in the town of Bodega just off of the Bodega Highway, at 17110 Bodega Ln. 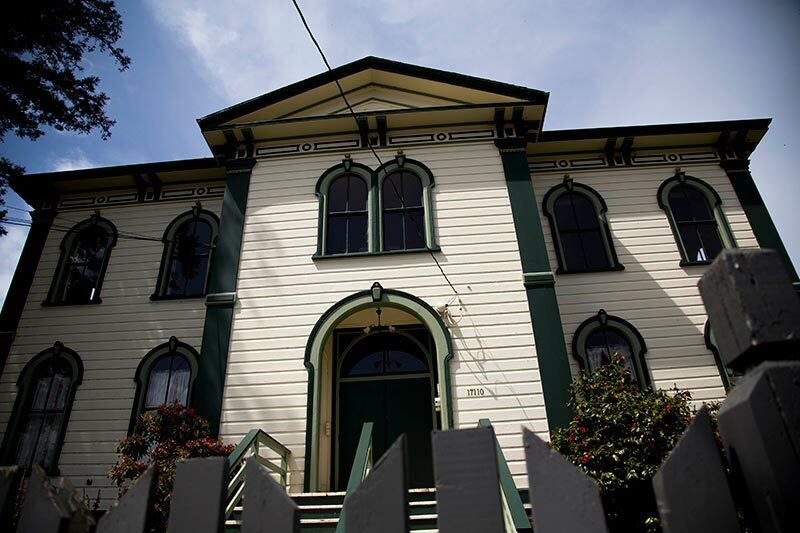 This is a popular spot for photographers and those who wish to feel like they’ve stepped into Alfred Hitchcock’s film “The Birds.” While you can visit the outside of this historic film location on the street, its a private residence that’s closed to the public.